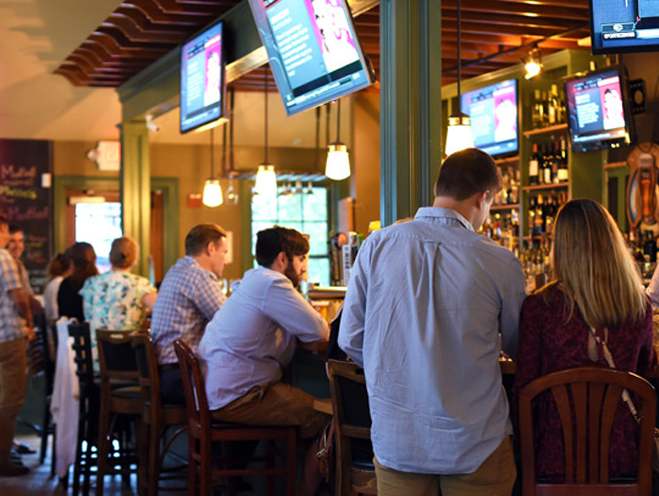 Welcome to Portsmouth Publick House, a family-owned restaurant located in the heart of Portsmouth, RI. We’re open seven days a week for Lunch and Dinner, with fresh local cuisine, an oyster bar, patio and fire pit, and 24 beers on tap! All of our food is house made fresh every day, including as many local ingredients we can find. With a fresh Raw Bar and favorites like our Brick Oven Pizzas, Lobster Mac and Cheese, Portuguese Steak and more, our customers certainly notice the difference and that is what makes them keep coming back! Come enjoy the quiet, cozy charm of Portsmouth, while feeling like you’re eating the five star cuisine of the North End, or Newport! And be sure to follow us on Facebook for updates on our Daily Specials, Live Music Events and more.